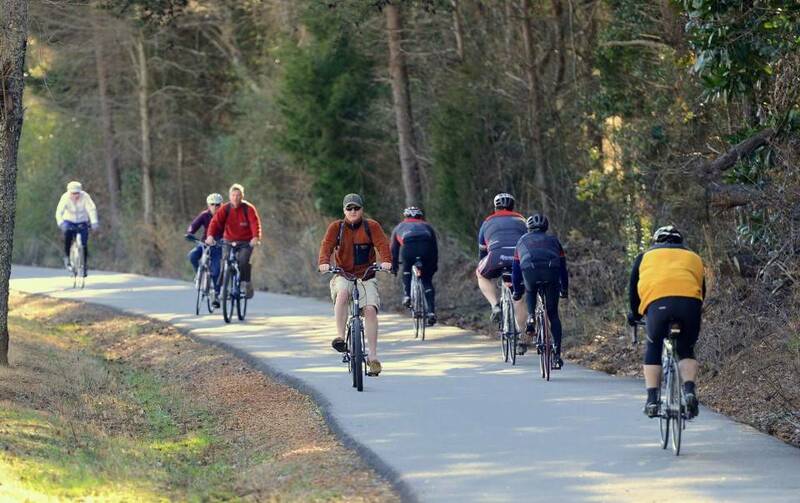 Join us for our ongoing Sunday Swamp Rabbit trail ride. We gather at the Zoo entrance at 2:00 PM and ride on the Swamp Rabbit Trail up to Travelers Rest then pedal back to Cleveland park. It is about 12 miles to TR and 12 miles back. We stop for a treat in TR then head back down the trail. If there are too many pedestrians downtown we take surface streets to get around them. Helmets and signed waiver are also required.